Topics: Resume Tips, and Interview Tips. Age: It went live on August 13th 2003, making it over 14 years, 8 months old. 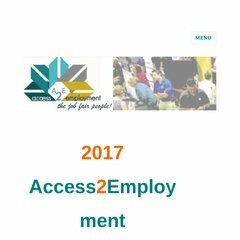 access2employment.com Access2employment Job Fair - Why Attend the Job Fair? ns7.webcontrolcenter.com, and ns8.webcontrolcenter.com are its DNS Nameservers. Crystaltech Web Hosting Inc (Arizona, Phoenix) is the location of the Microsoft-IIS/6 server. The site is programmed for ASP.NET. PING www. (67.199.119.31) 56(84) bytes of data. A time of 63.5 ms, is recorded in a ping test.